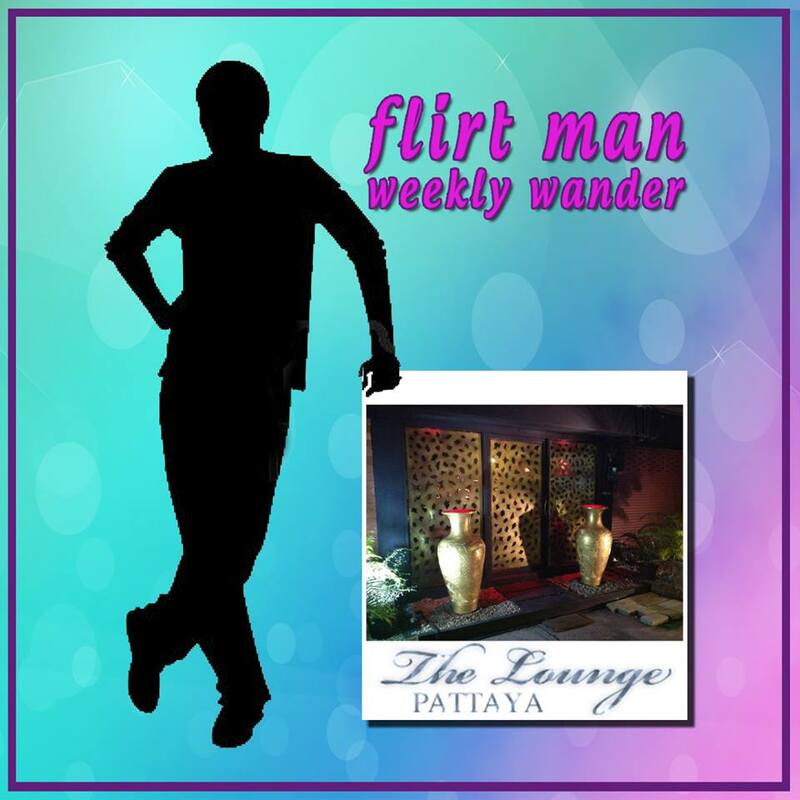 This week’s Weekly Wander had FlirtMan wandering up Pratumnak Hill to “The Lounge” which is located at soi 3 beside the Big Chopper Bike shop. I’ve been to this place on a number of occasions now and I must say it’s always had a good atmosphere, but nevertheless the place has come on leaps and bounds since being taken over by the new management. Your initial walk-in will probably disorientate as it’s a funny layout. The main foyer area is a strange useless piece of real estate which serves only as a holding area for the hostesses with one larger open plan area to the right side with the DJ and dance floor & sofas. To the left there’s a couple of other rooms that seem to be for those that want to just relax and chill out away from the mêlée of it all. The sooner the owner knocks away some of these walls the better as they really are outwith the entertainment “zone” of the club. The main area pool table should also moved and possibly alcove seating put in to cater for more people. The punters in the rear room areas are not sitting there through choice but because the joint radically lacks enough main zone seating. On this Friday evening the place was jam packed and the DJ in full flow playing 70’s, 80’s & 90’s tunes which was to my liking. On the dance floor a few punters swung a move here and there and any requests wanted were dealt with by the fun DJ. The atmosphere kinda reminded FlirtMan of an english working man’s club and if a Benidorm cabaret act had wandered on stage it would have completed the picture. It certainly is a formula that hasn’t been done before in Pattaya and i hazard a guess that the management just might have spotted a huge gap in the market and will go from strength to strength. There’s around 12 to 15 hostesses scattered around and huddled in groups but even in those numbers they seemed to just get lost in the crowd. The bar staff were nice and polite but their efficiency is questionable when FlirtMan had to ask for a beer 3 times to actually have it arrive. Being the first beer of the day meant it felt like the longest 10minutes of my life ! I also wouldn’t say they were the best when it came to keeping your bar bill up to date. There seems to be a bit of confusion at the best of times when ordering your drinks. It possibly might go on someone else’s bill, or theirs going on yours. So a heads up just to be attentive. Many punters are now ordering and paying right away thus negating the need for a running bill. After all you’re out to relax and enjoy the evening not be bill watching. Rant over! With this place being tucked out of the way and generally new to the ‘Gentlemen’s Club’ scene I think this could be a good venue. It seems that they don’t open until much later than the other “Gentlemen’s Clubs’ and are catering for the later time-based clientele . Having chatted to a few of the hostesses it seems that this venue caters for all which could mean the joint evolves depending on day and time. There always seems to be a mixed group in here and many guys bring their better half along to enjoy the music so don’t be popping up to The Lounge with the thoughts of getting a quick leg over or you may surprisingly bump into someone you or your other half may know. The Jungle drums will beat all the way to the doghouse that you now reside in ! Other factors to note in this review would be that mid-week sees live jamming sessions. Party nights have buffet snacks laid on free (sportmans food) and there are also 2 pool tables and quiet upstairs areas that overlook the main stage. 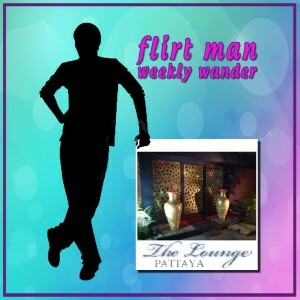 FlirtMan cant help but think that with a few tweaks to the layout and the bill system sorted that the Lounge team could just have pulled off the best entertainment joint in Pattaya. Well worth a visit and if the management do the tweaks they get the first 10 out of 10 rating from FlirtMan’s Weekly Wander. Join me again next week when FlirtMan should hopefully be attending the opening of the all-new Booze Lounge (soi buakhao). Remember the flirt man is saying it like it is (without payment) and visits totally anonymously.